Don’t you hate it when you break up and your ex keeps popping up in your news feed, photos, or People You May Know suggestions? Facebook feels your pain, and the social media giant is doing all it can to help ease your heartbreak. These post-breakup social media tools are in testing mode right now, and Facebook hopes to have these rolled out by early next year, though the tools may only be available on the Facebook mobile app. So what is involved in Facebook helping you get through a nasty breakup? Well, for starters, you won’t see your ex’s posts in your news feed. You also won’t see notifications when your ex is tagged by one of your friends either in a photo or a post-which could provide you with hurtful, painful details about his or her current romantic situation. You can also have the ability to untag yourself in past joint posts with your ex, as well as pictures of the two of you together. Your ex also will not be able to see your posts, pictures, or any notifications when mutual friends tag you in a post or photo. 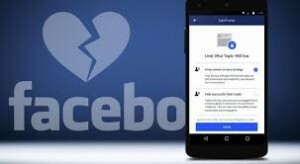 Essentially, cutting ties to your ex digitally may minimize the pain and drama of the breakup-something that may have been difficult to do before, especially on a site like Facebook where you may have many mutual friends and interests that involve your ex, as well as family members. 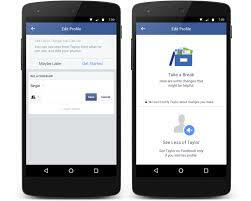 You get to pick and choose which tools you wish to use in order to customize your experience on Facebook. Essentially, Facebook wants to help you overcome the desire to constantly stalk your ex on the social media site, checking their page obsessively or trying to glean information about their new life without you. We’ve all done it at some point or another, but let’s face it-getting over the breakup would be much easier by severing the connection with your ex. However, you can avoid further drama and behave in a more mature fashion by not simply deleting your ex-you can just tweak the tools in order to make the breakup a little easier for you during the post-breakup months. What do you think about the new Facebook breakup tools? Is this something you would use to ease the pain and drama of a terrible breakup? We will find out more about how well received these tools are when they go live after the new year.